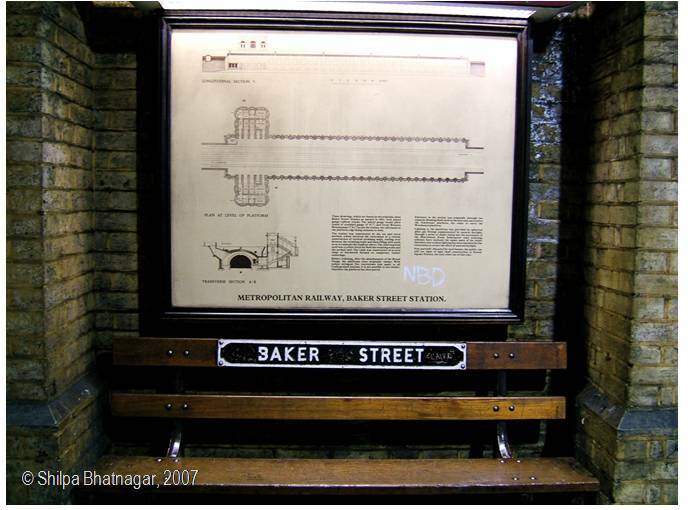 Baker Street Underground Station, Central London. 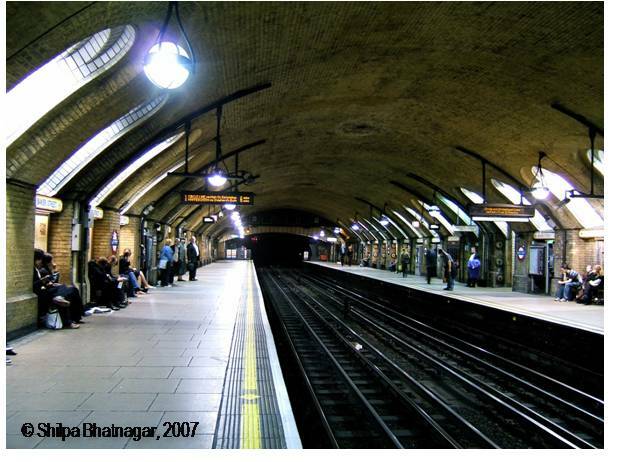 Inaugurated in 1863, it was one of the first underground stations in the world. 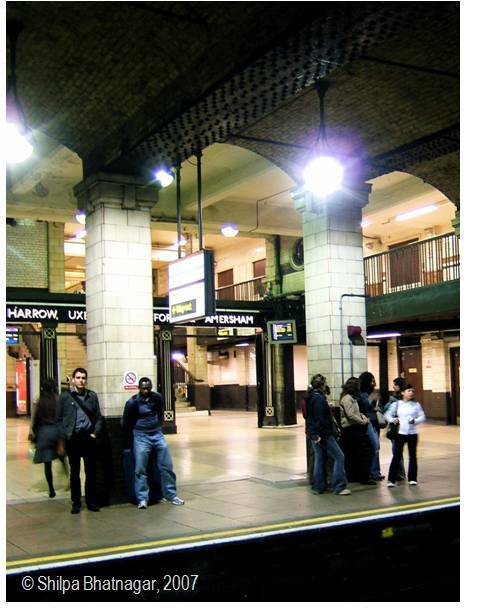 This is the original tunnel, built for the Hammersmith and City Line, which still operates for the same line. I clicked these on a late summer night in 2007. I think this is one of the grandest and most beautiful stations in Central London. The swanky new ones just do not compare. 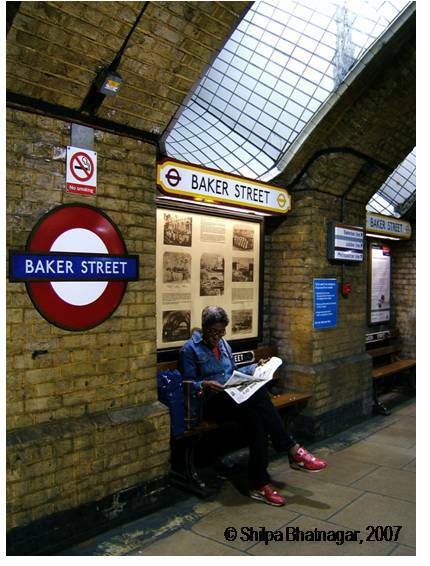 The Hammersmith and City line is creaky, frequently late and slow. That adds to the charm – but not in rush hour, I’m sure.